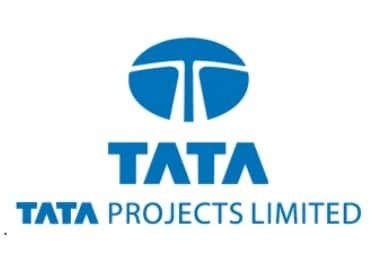 Riding high on the pace of growth in the oil and gas, nuclear and urban infrastructure sectors, Tata Projects, a part of the diversified Tata Group, is eyeing up to Rs 16,000 crore worth of revenue this fiscal. The company, one of fastest growing infrastructure companies in the country with an order book of around Rs 50,000 crore currently, hopes to bag another Rs 25,000 crore of contracts in the current financial year, chief operating officer for industrial systems Satyanarayana K told PTI here over the weekend. He said the company is upbeat about the potential in the oil and gas sector along with the prospects of nuclear power projects picking up as thermal projects loses policy thrust for a litany of reasons including pollution. The company recently bagged an order worth around $321 million from Nuclear Power Corporation to construct the main plant buildings and structures, among others for a 2x700 mw nuclear plant from Gorakhpur-Haryana Nuclear Power Project. Besides, the company has also secured contracts for setting up fast reactor fuel cycle facility at the Kalpakkam, nuclear fuel facility in Kota and an integrated nuclear recycle plant at the BARC in Tarapur. "With the kind of orders that we are bagging in the nuclear segment, we will continue to focus on this sector. Also, the dependence on thermal power is going down and there is a government thrust on renewable energy including nuclear," Satyanarayana said. In the oil and gas segment, he said, the company has already bagged a contract from ONGC to execute a lumpsum turnkey monoethylene glycol (MEG) regeneration project. This sector is growing very fast and is one of our focus segments. "We are also catering to the overseas market in this segment," he said. Besides these, Satyanarayana said urban infrastructure including development of roads, ports, metro rails, residential and commercial real estate segments are picking pace, mainly due to government's thrust and this another segment the company is focusing on and planning to bag large contracts. "We are constructing pre-fabricated/ pre-cast buildings and high-rises with nearly 4 million sqft under-construction now, including a Rs 2,000 crore project in Andhra under the PM's housing scheme. We are also seeing huge opportunity in the sewage and water treatment segment. We have also done the Dravyavati river rejuvenation project in Rajasthan," he added. The company reported nearly Rs 13,000 crore of revenue for fiscal 2019 and is eyeing up to Rs 16,000 crore revenue for this fiscal, he said. When asked whether the company is expecting projects coming from the private sector, he said, "Currently we have a combination of both, public as well as private. Like in the real estate, it is more of private investments, but when it comes to sectors like infrastructure, nuclear, oil & gas its more from the central and state sector. In fact our private sector contracts have come down." He further said the focus will be growing in the domestic market as there is enough potential and so it sees no reason to run after international markets. "We will also be very cautious in picking up projects, mainly large size ones, like the metro projects as well as the prestigious Mumbai Trans Harbour Link or the over Rs 11,740 crore BDD Chawl re-development project, mainly to keep up with the brand 'Tata' and showcase our expertise and excellence in the works that we do," he added.